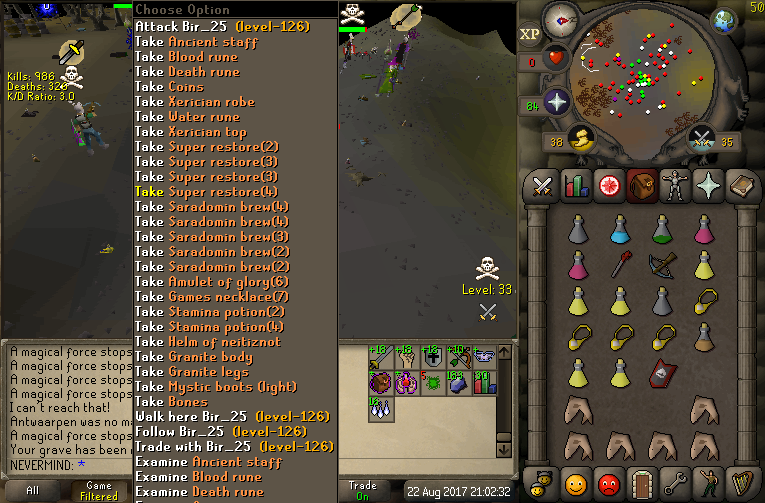 We started off this trip at bear picking on smaller teams and getting into small fights with MF, Unk, ROL and other teams on smallmans. 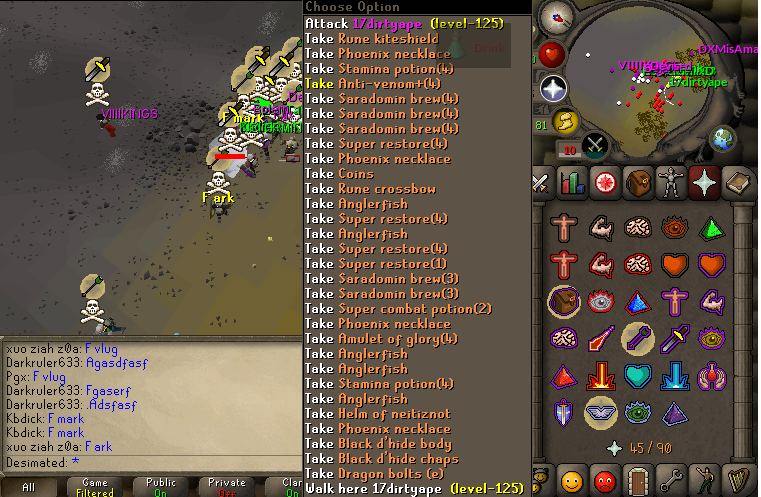 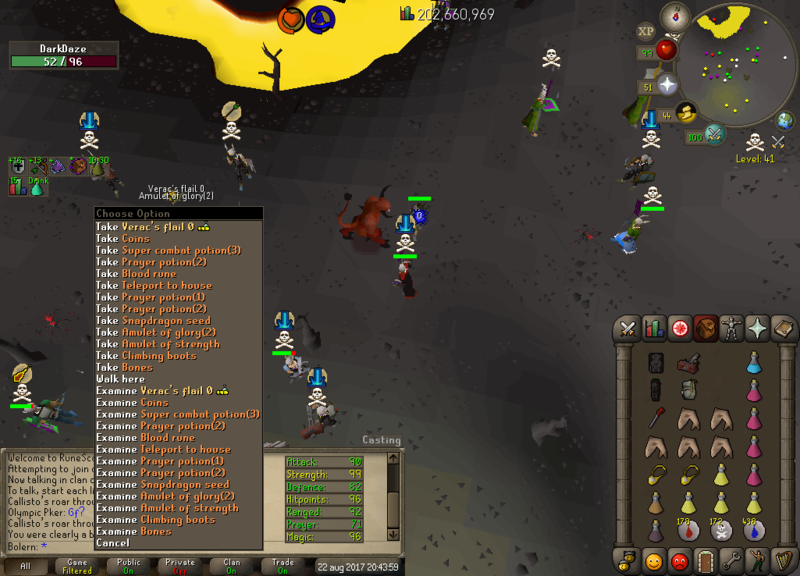 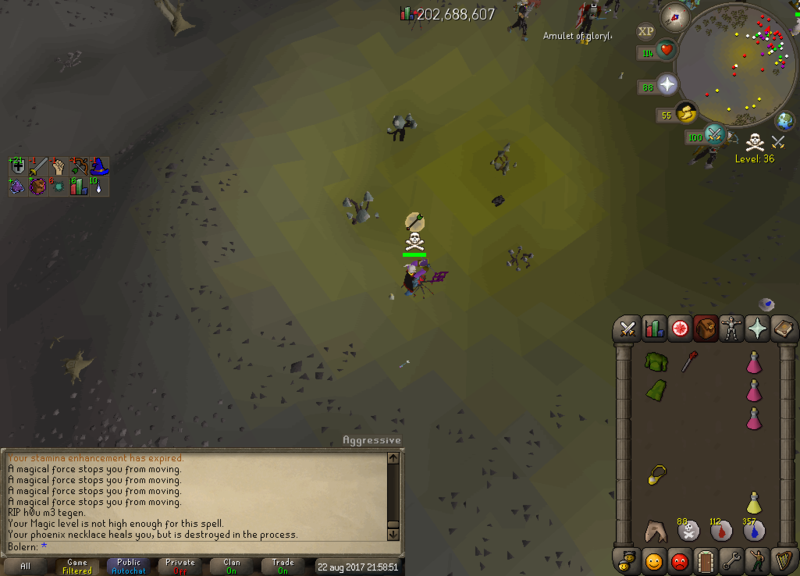 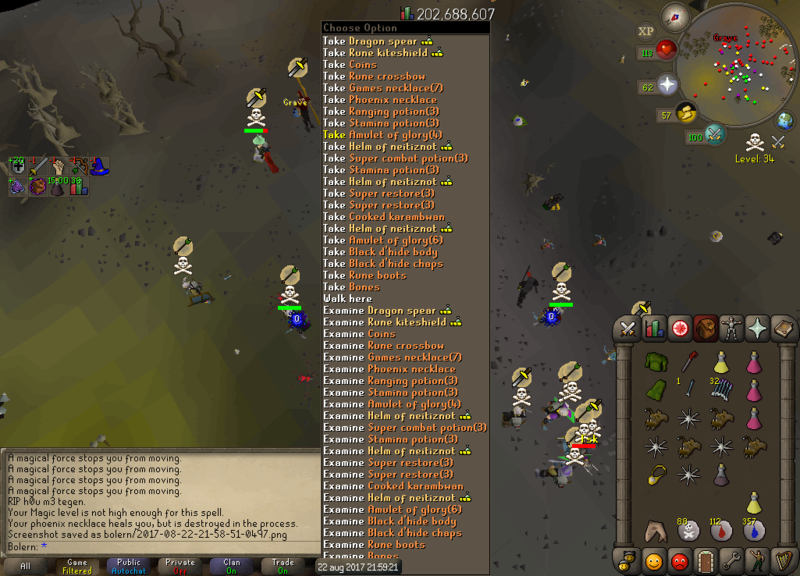 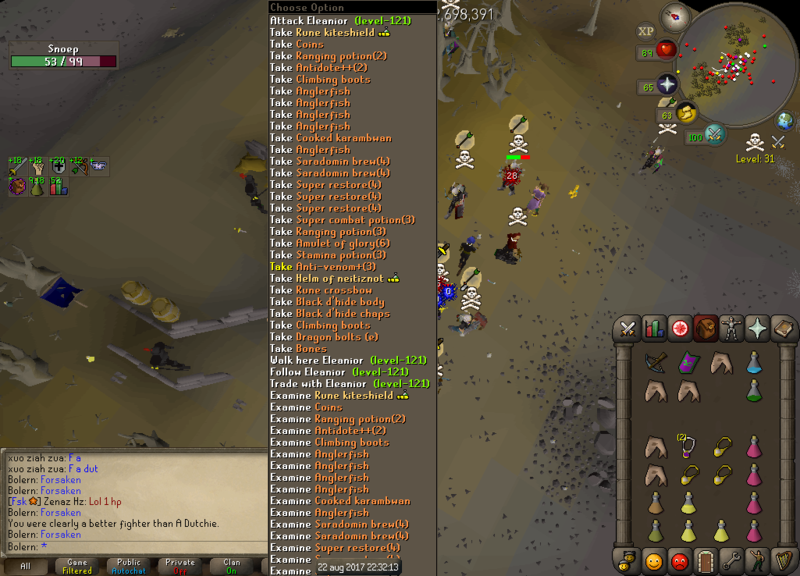 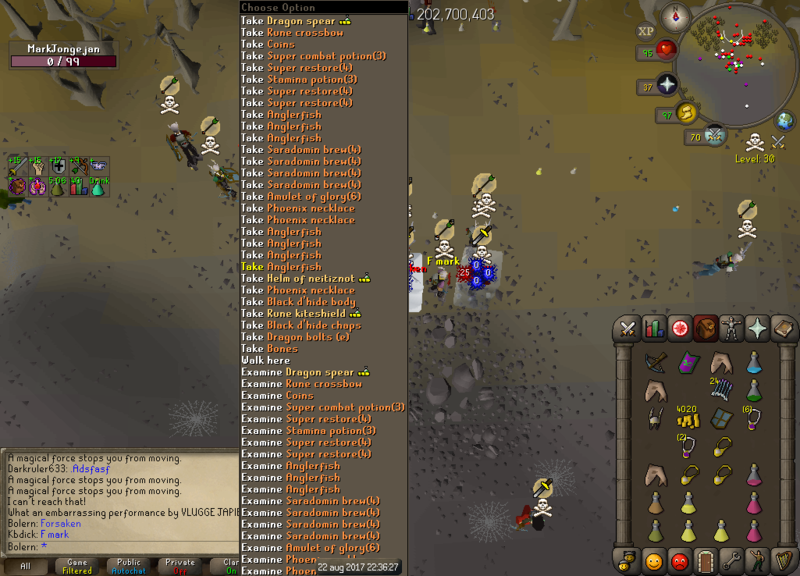 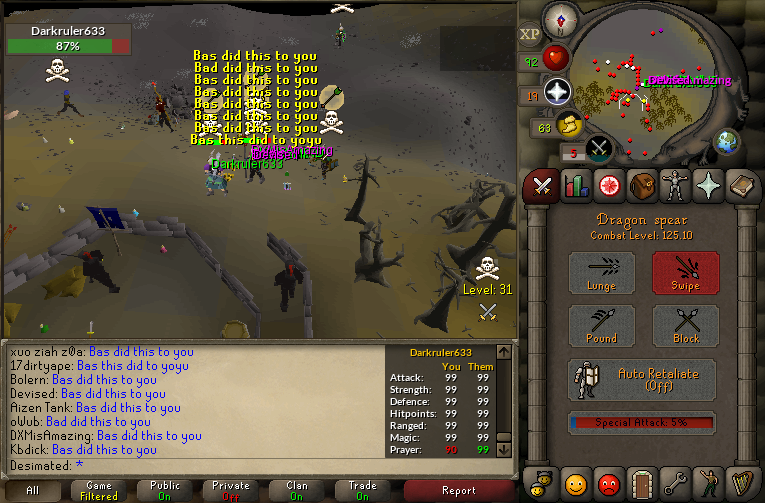 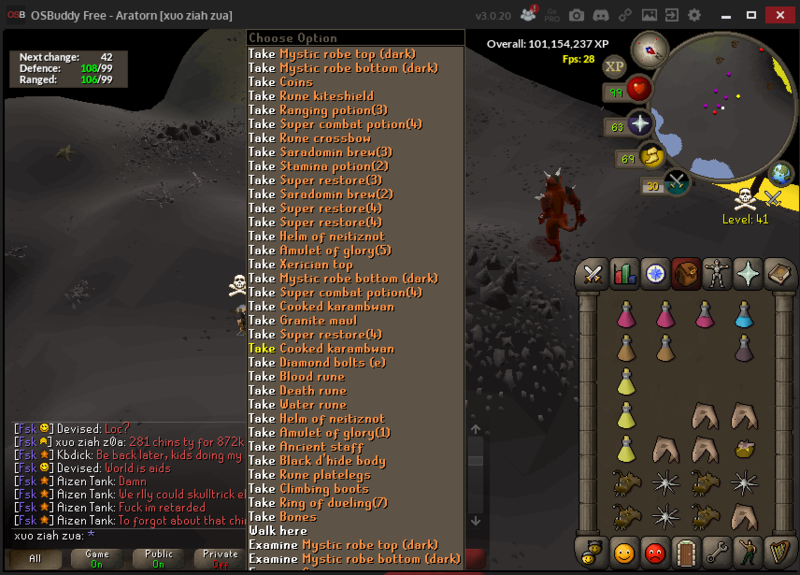 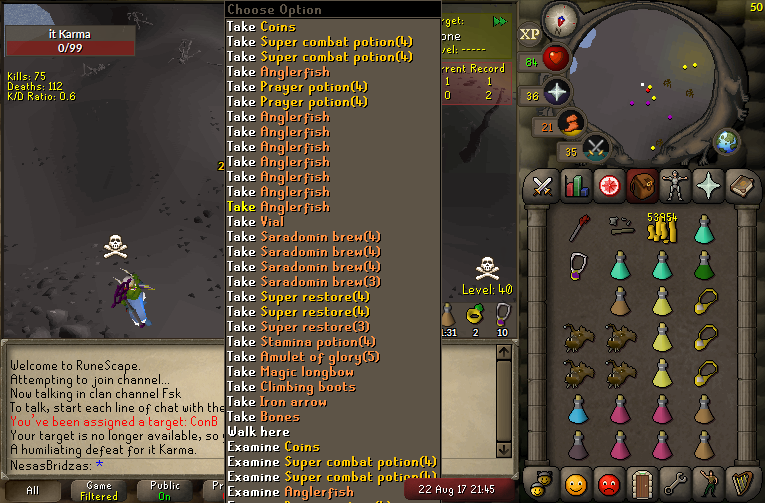 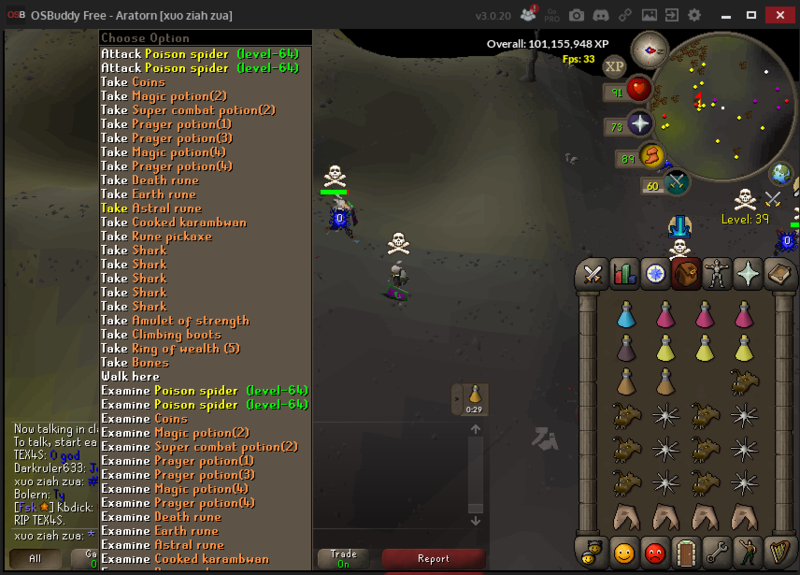 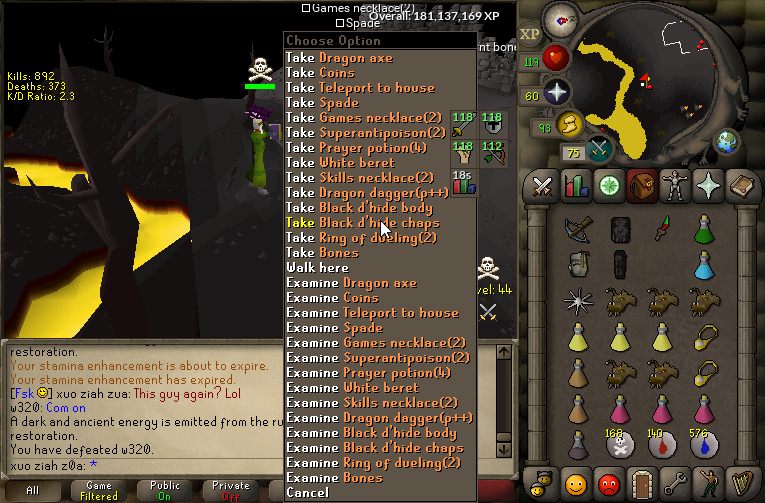 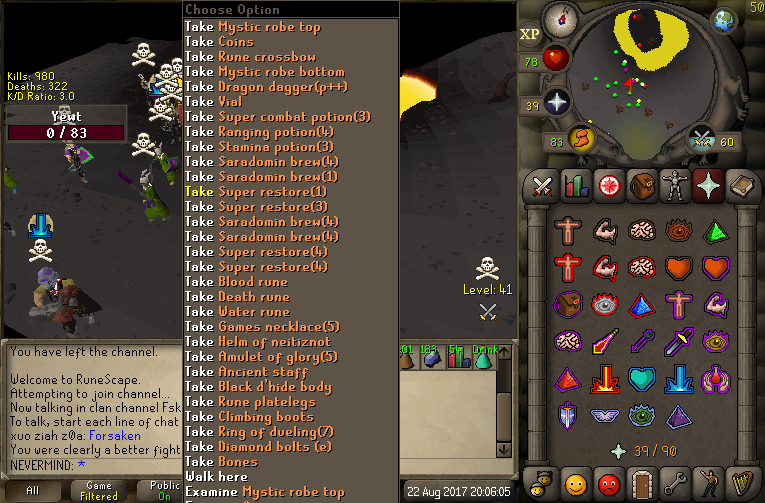 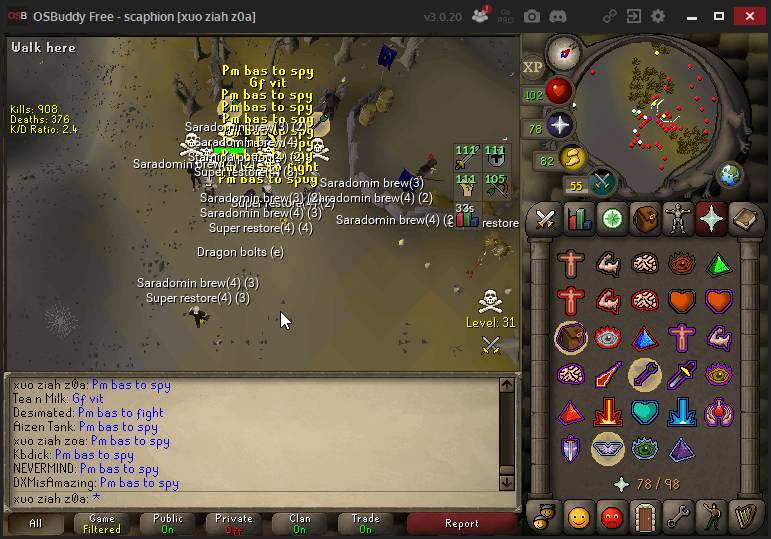 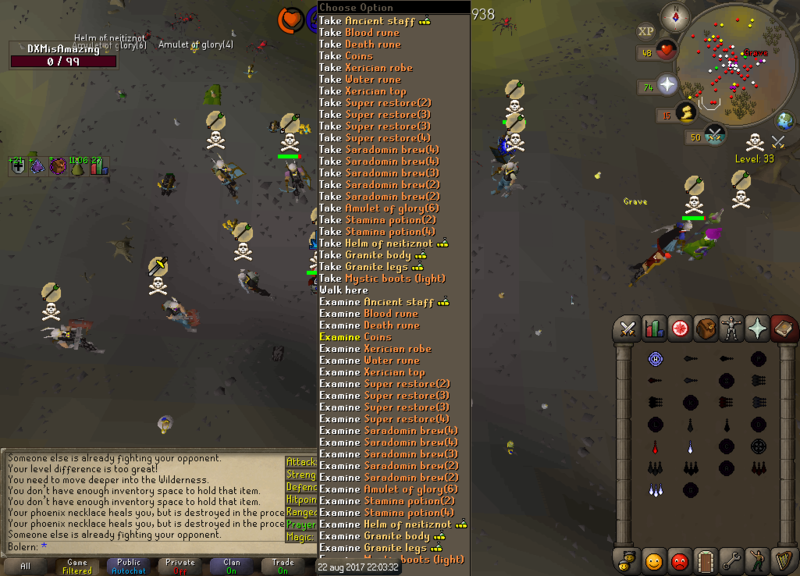 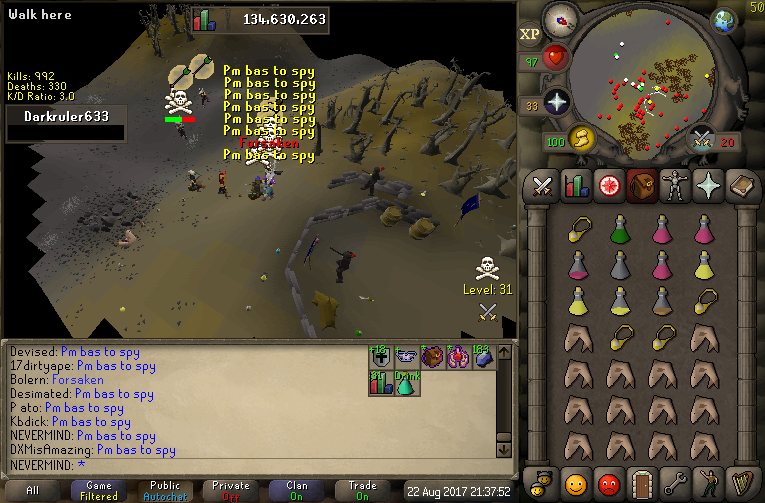 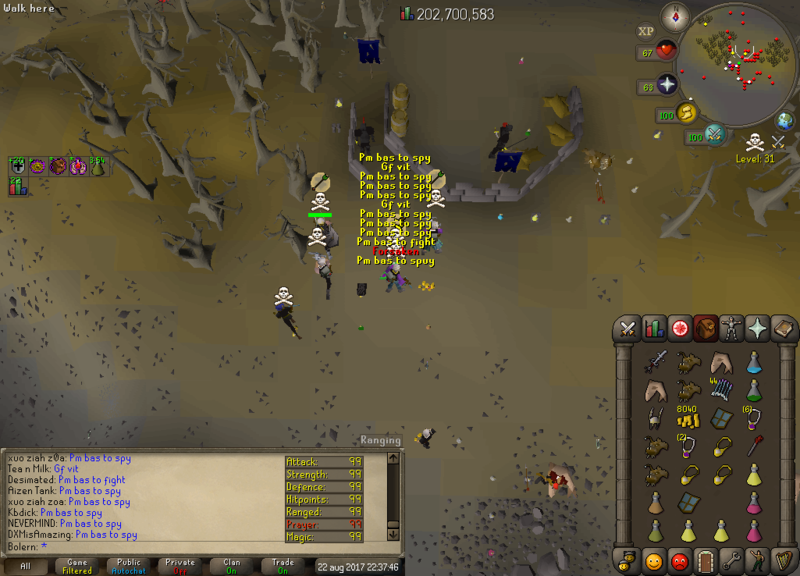 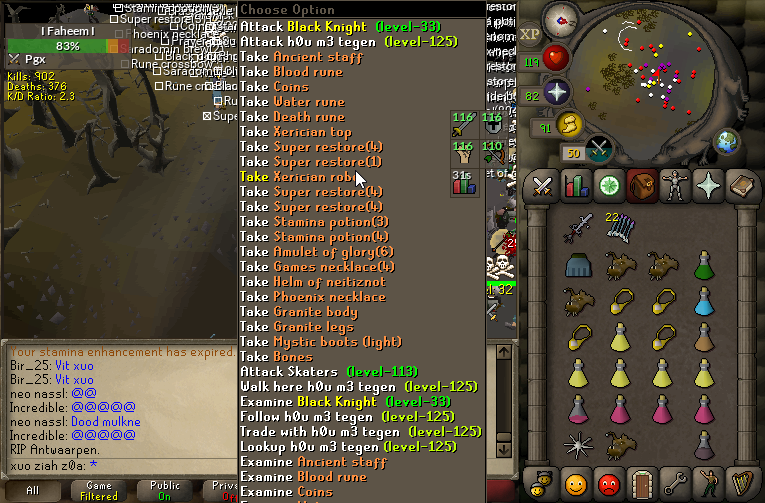 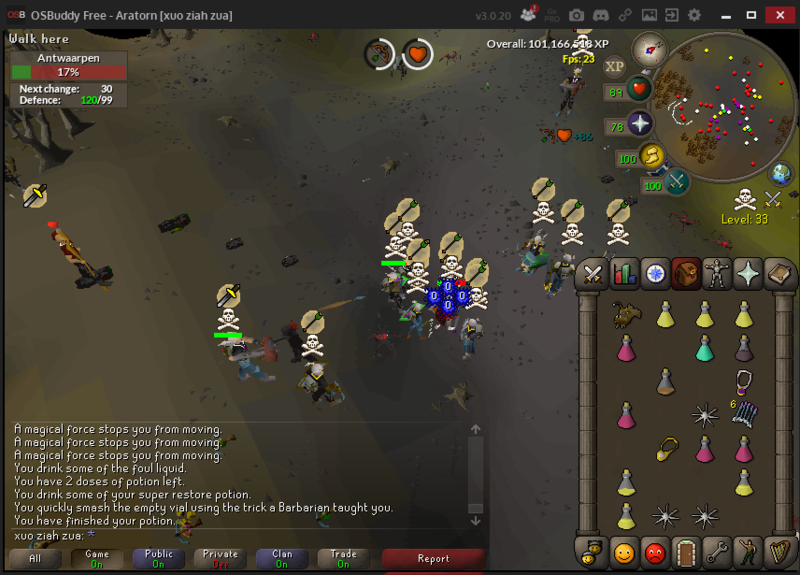 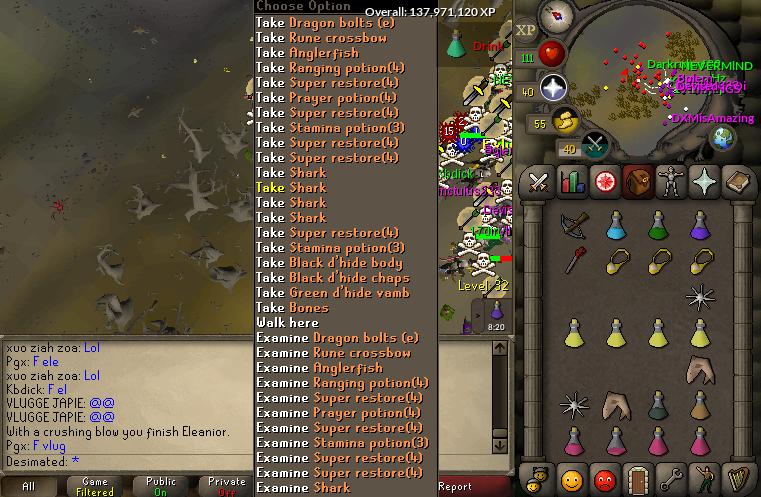 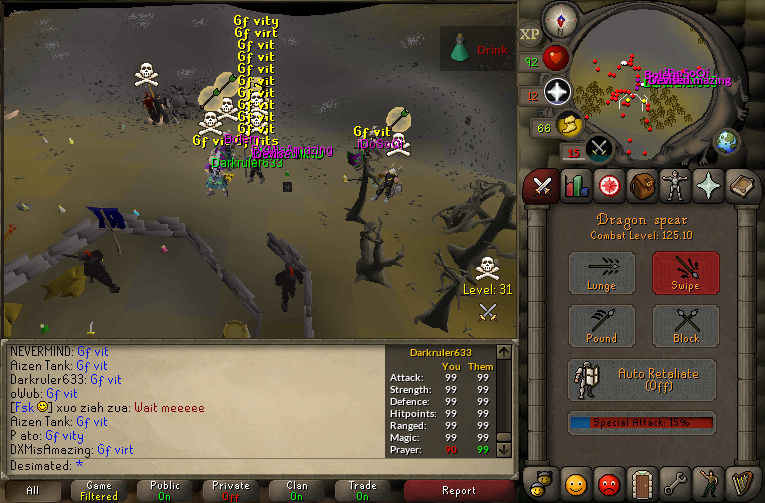 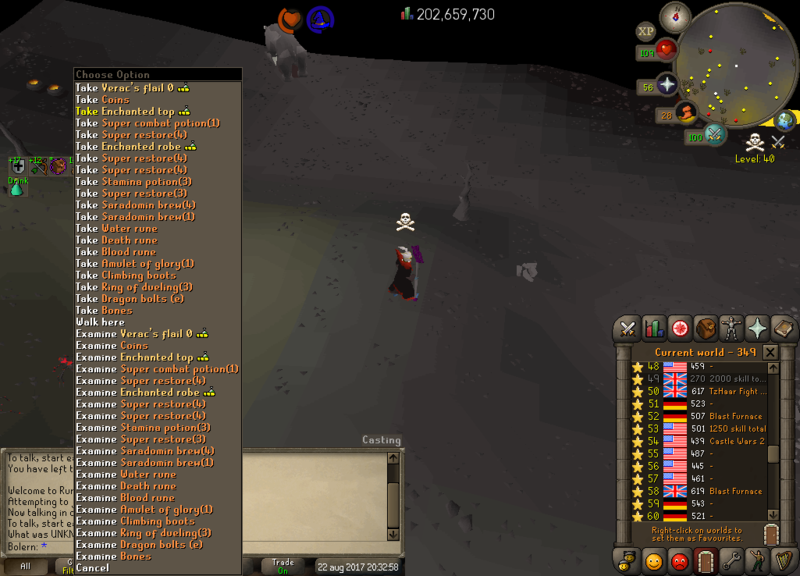 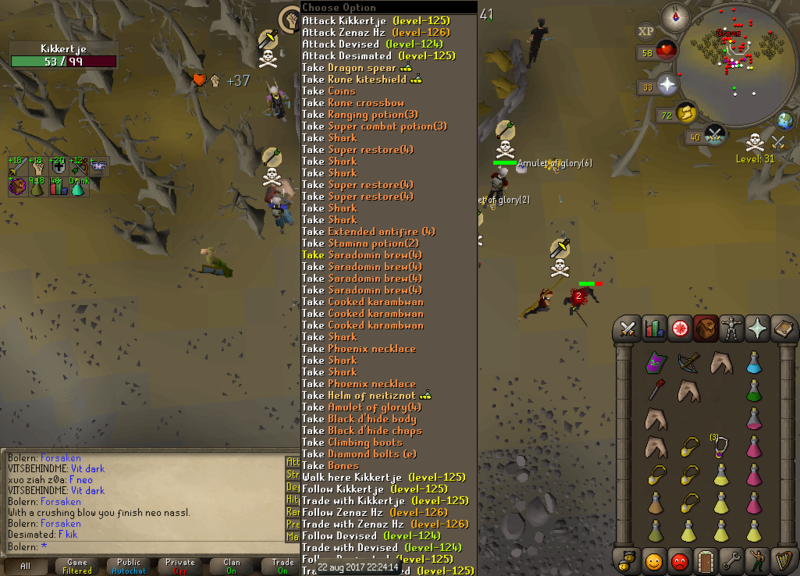 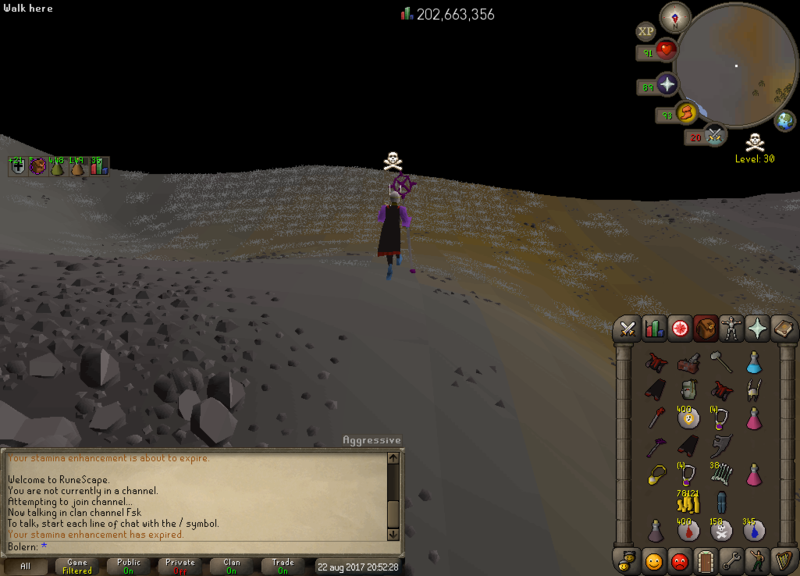 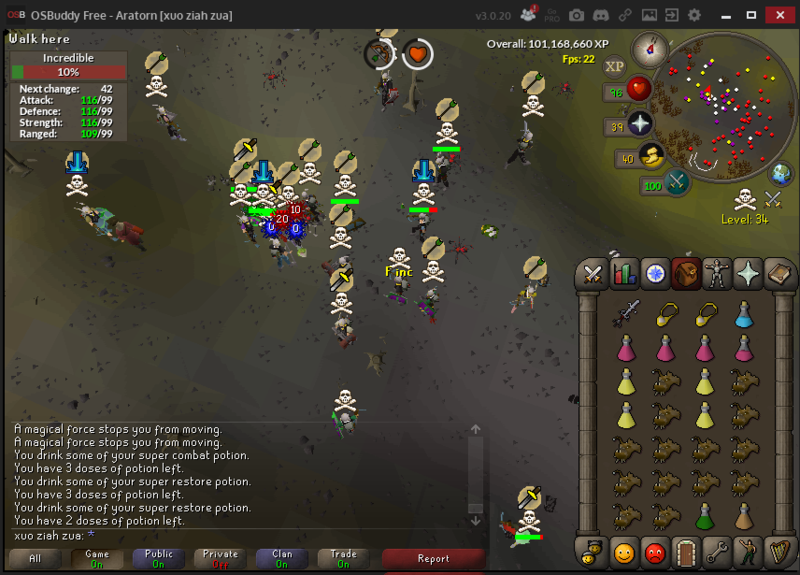 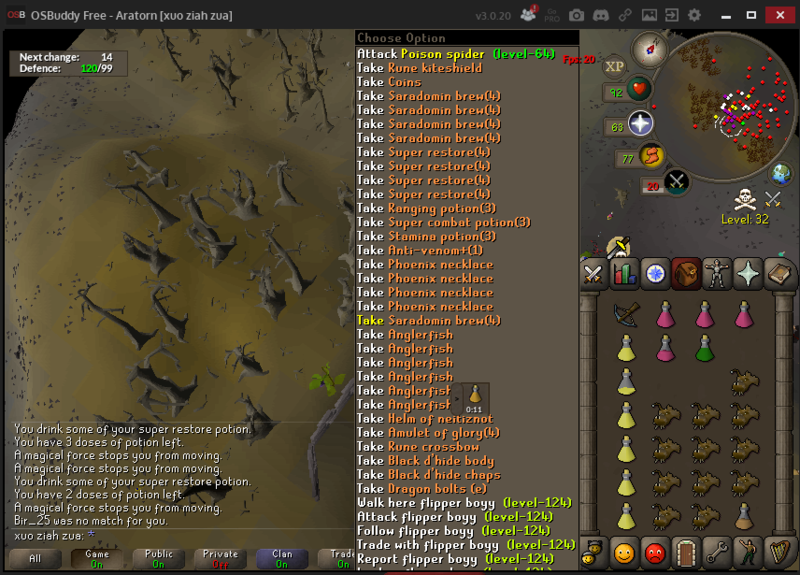 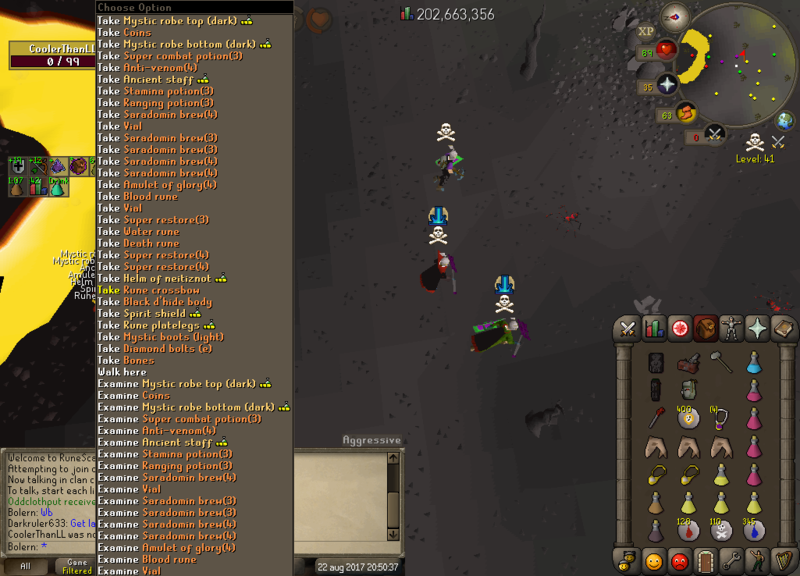 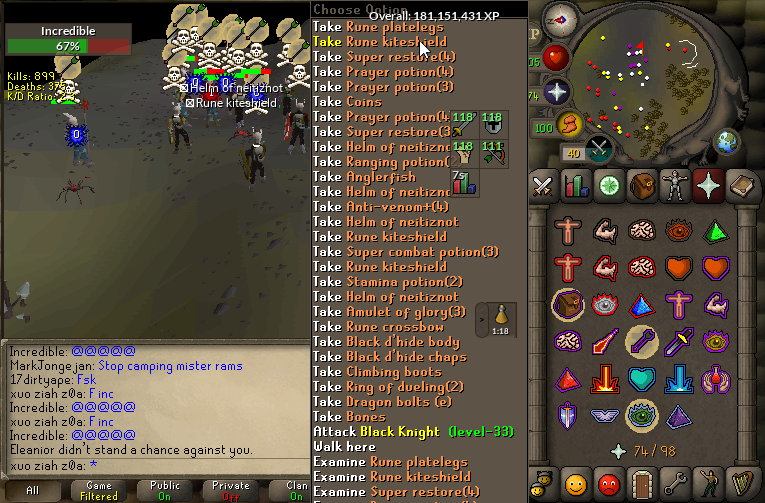 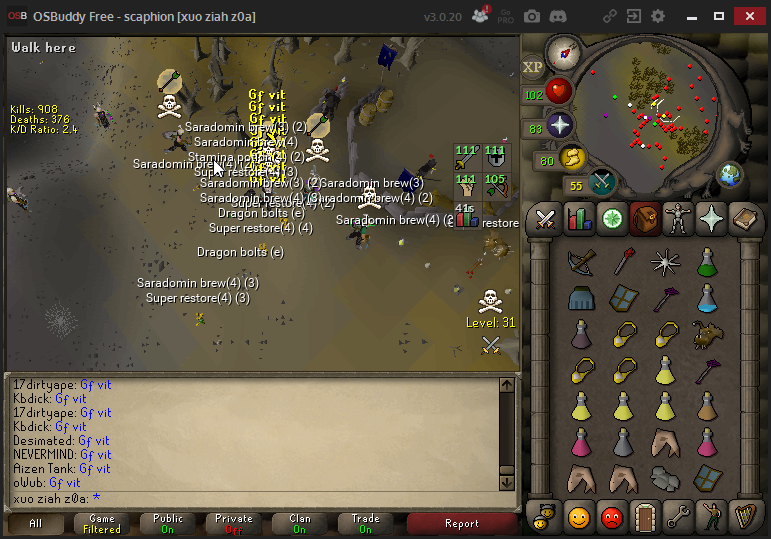 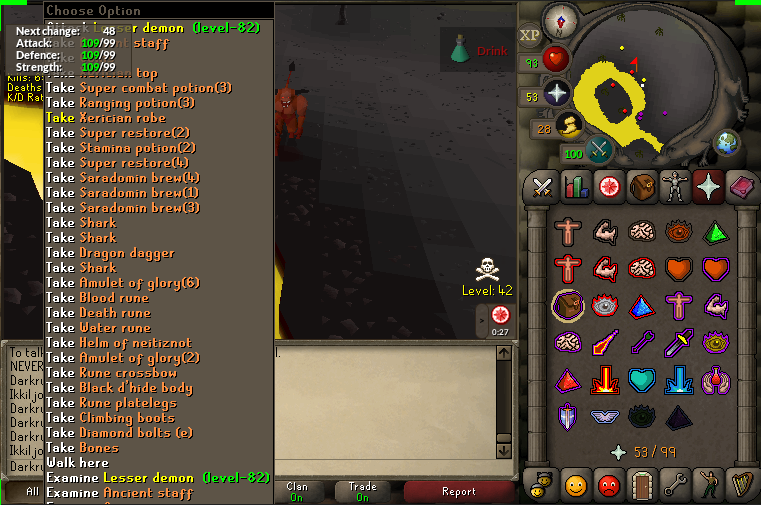 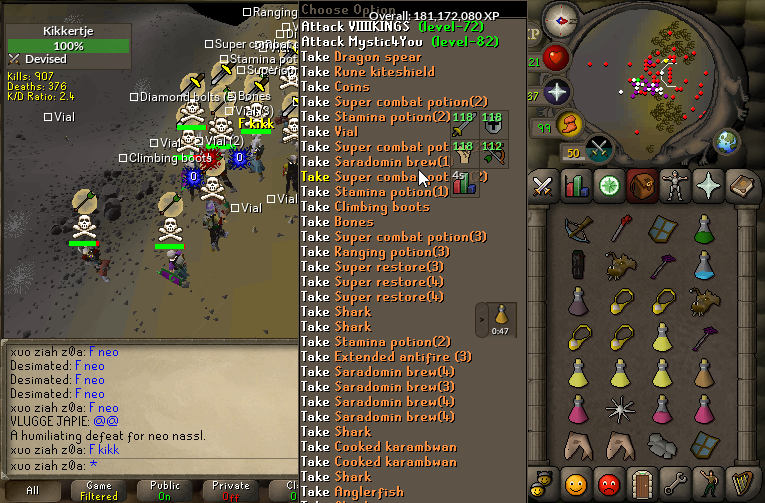 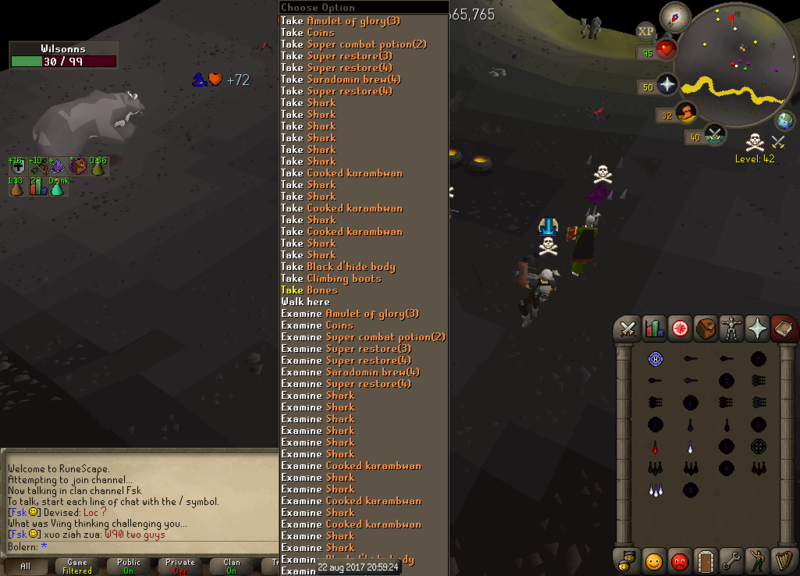 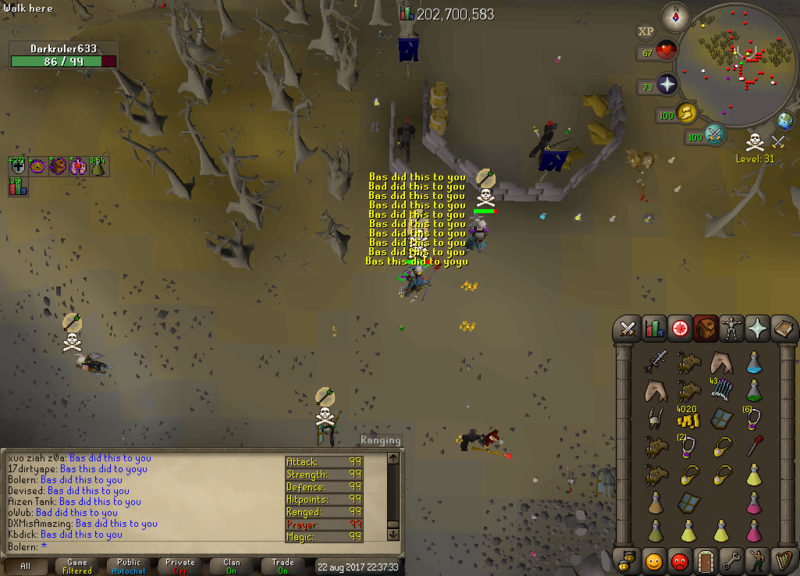 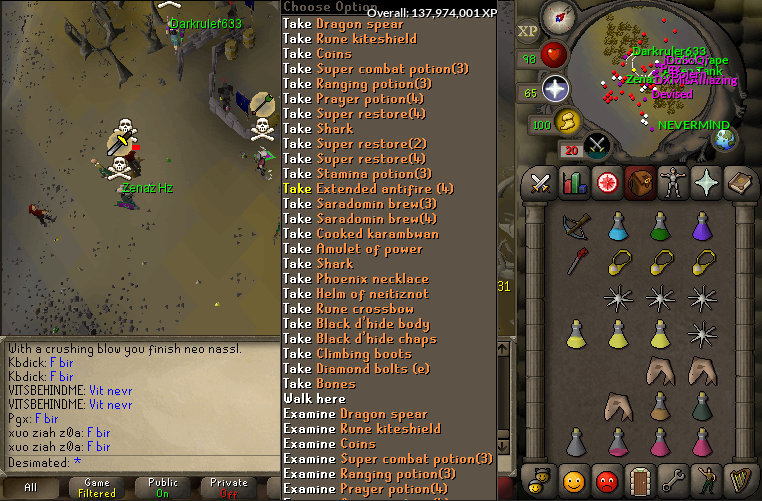 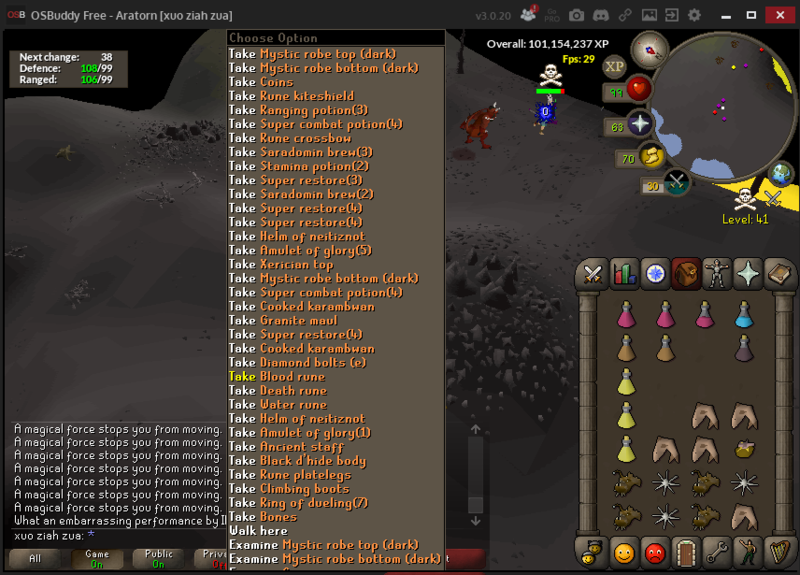 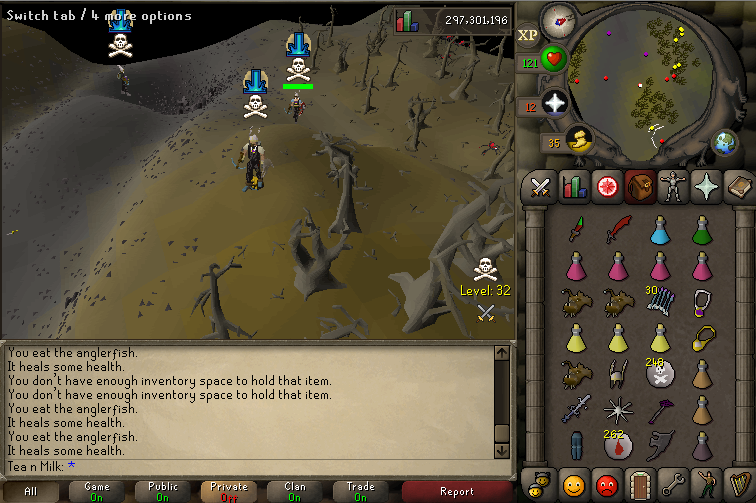 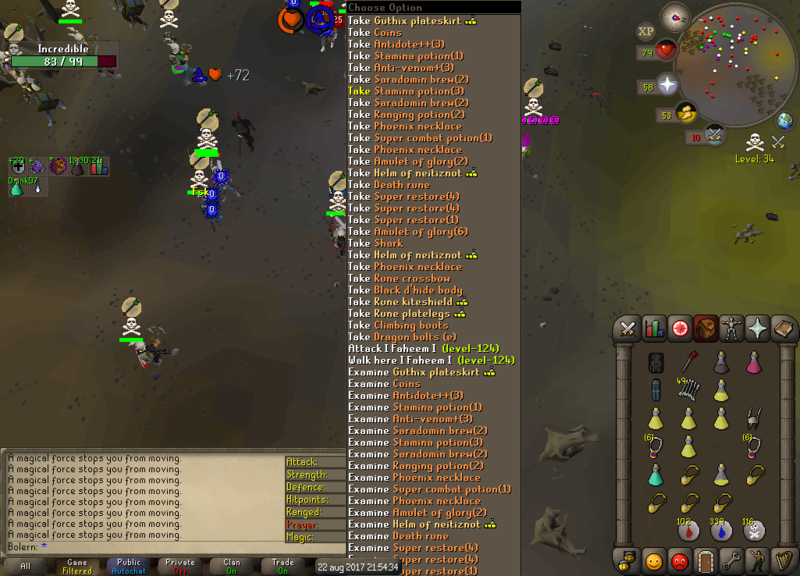 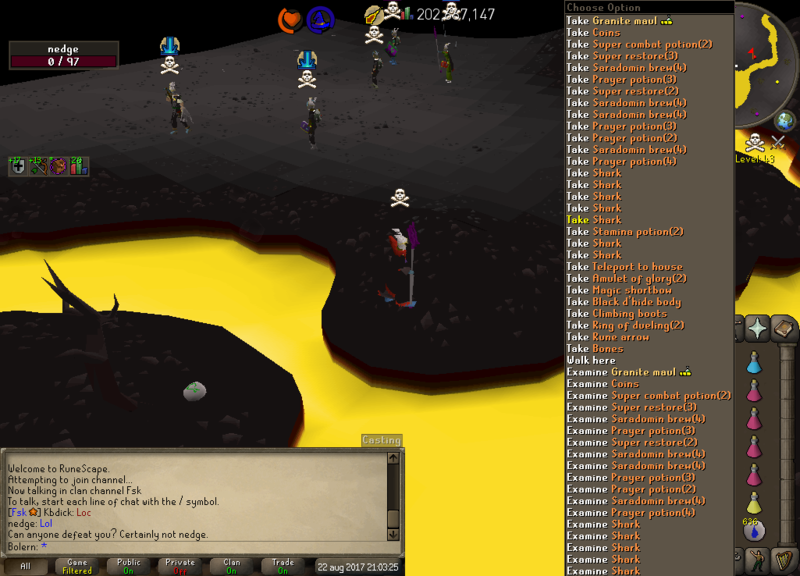 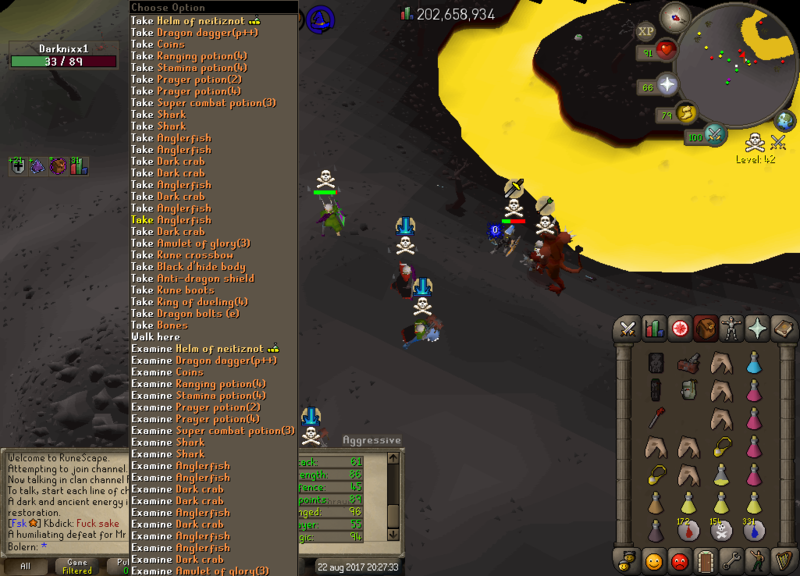 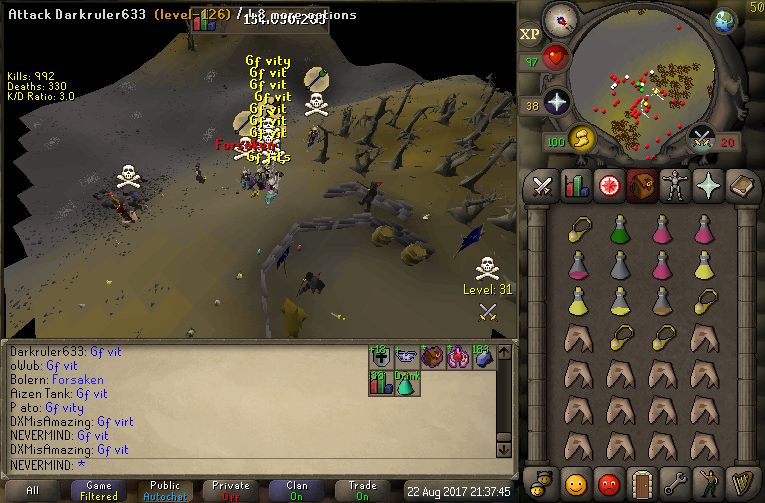 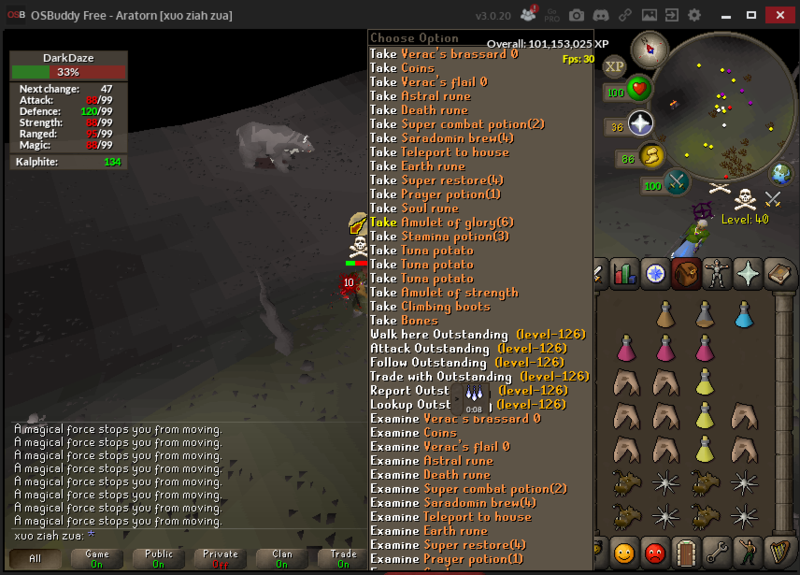 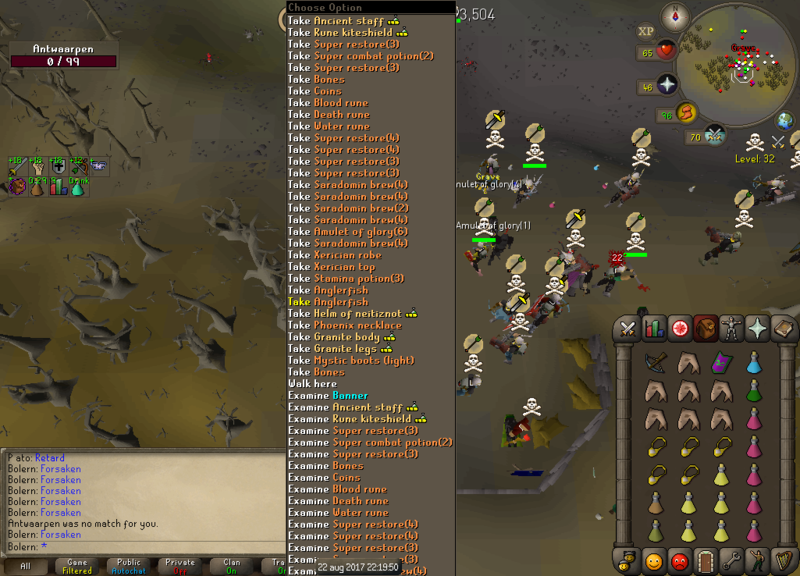 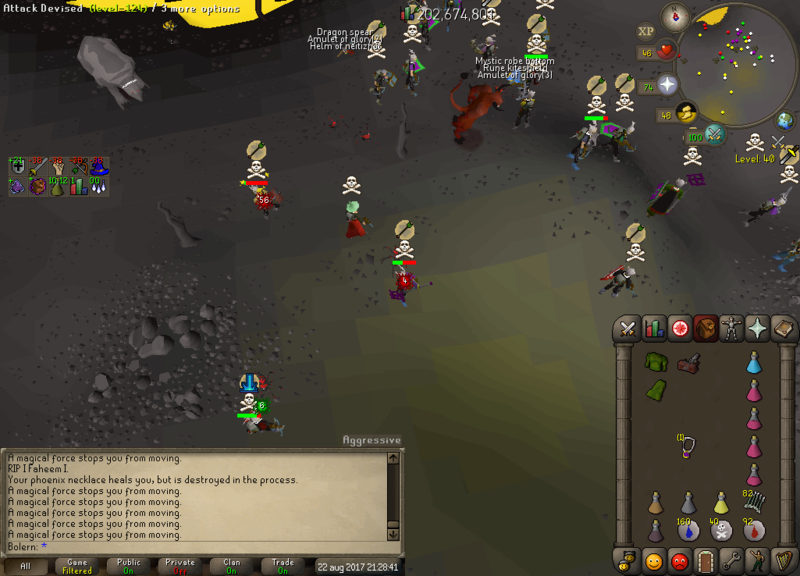 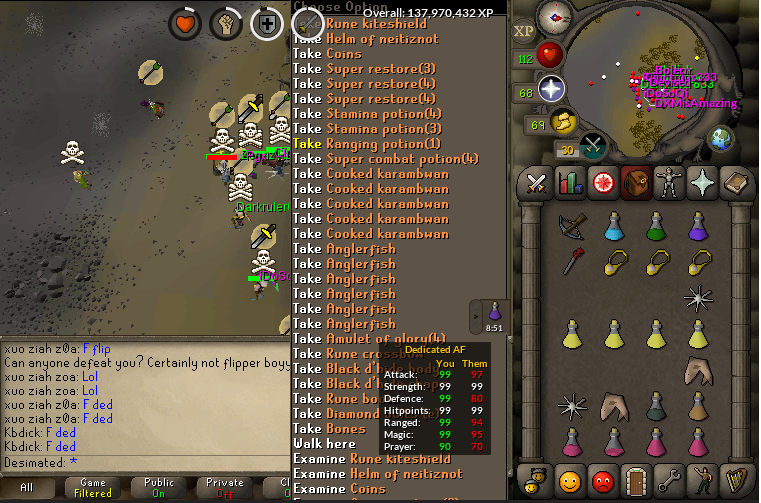 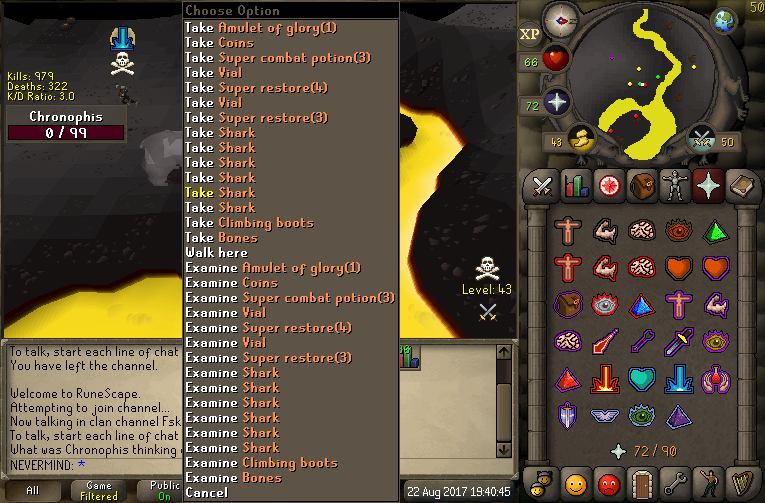 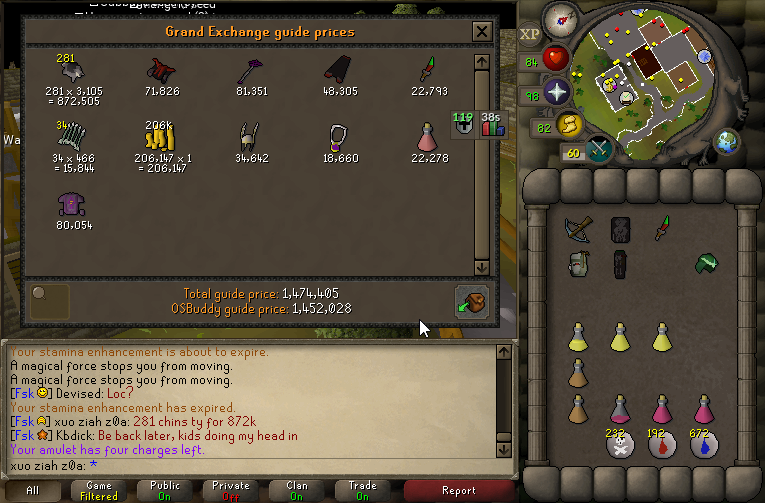 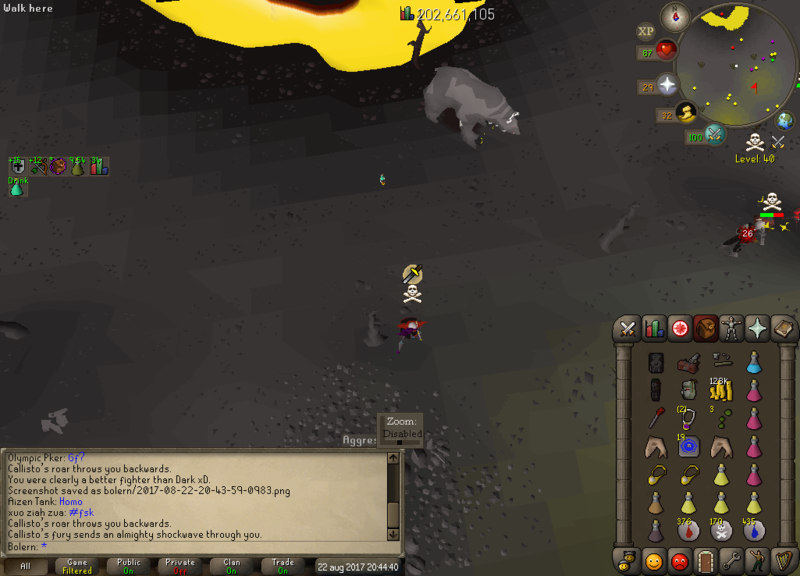 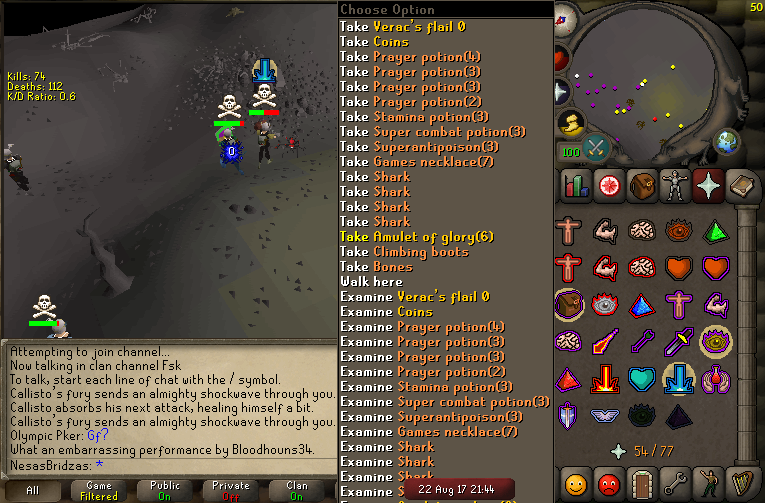 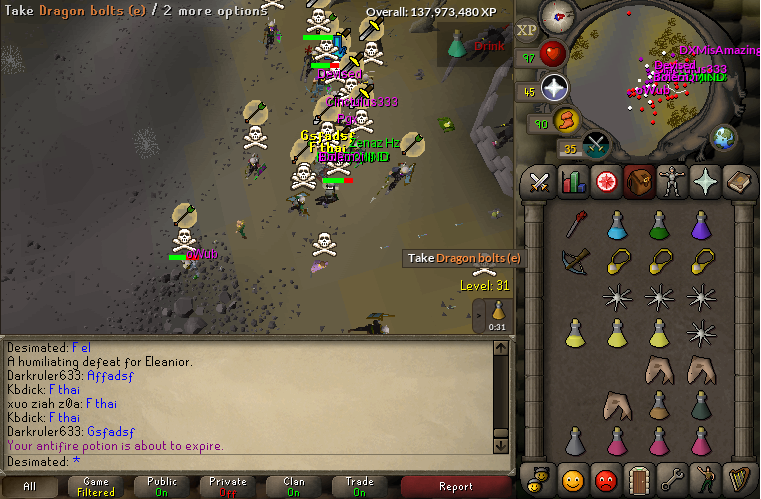 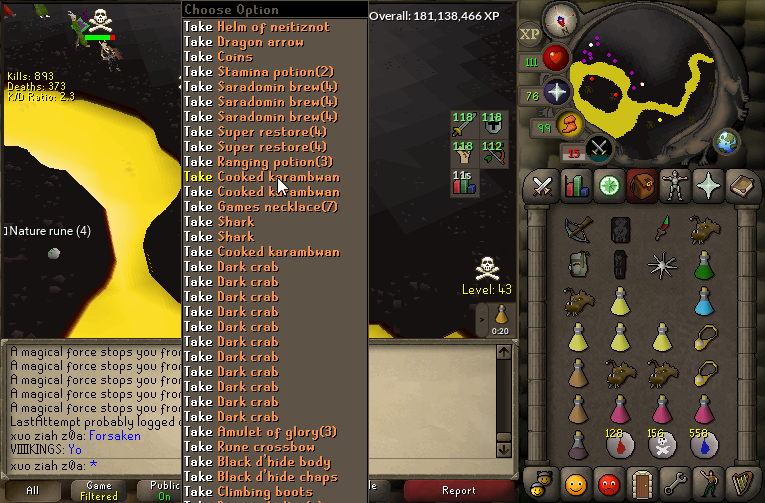 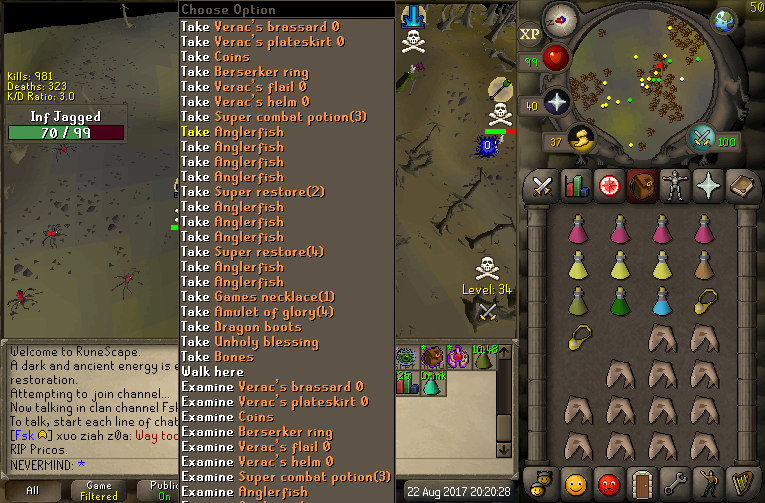 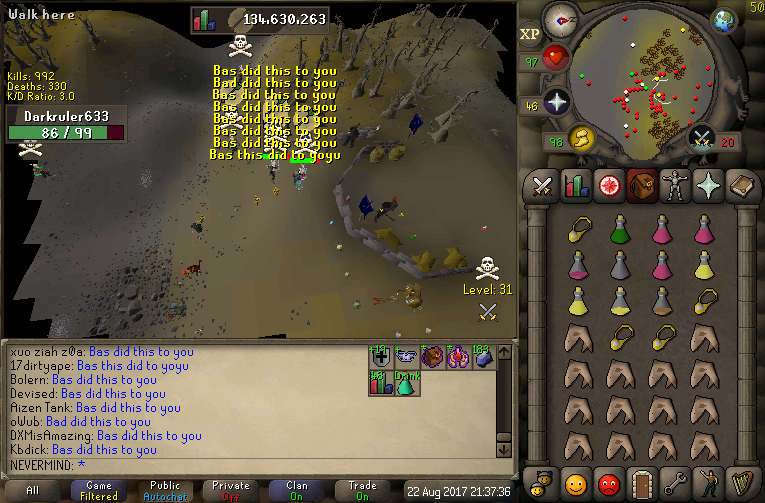 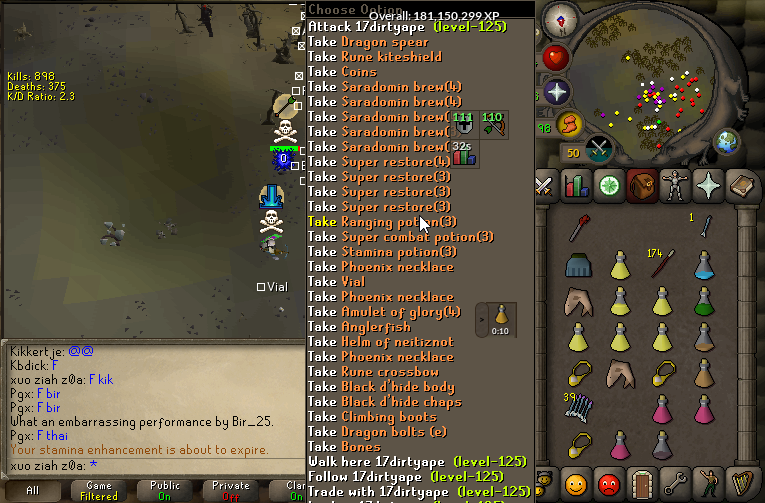 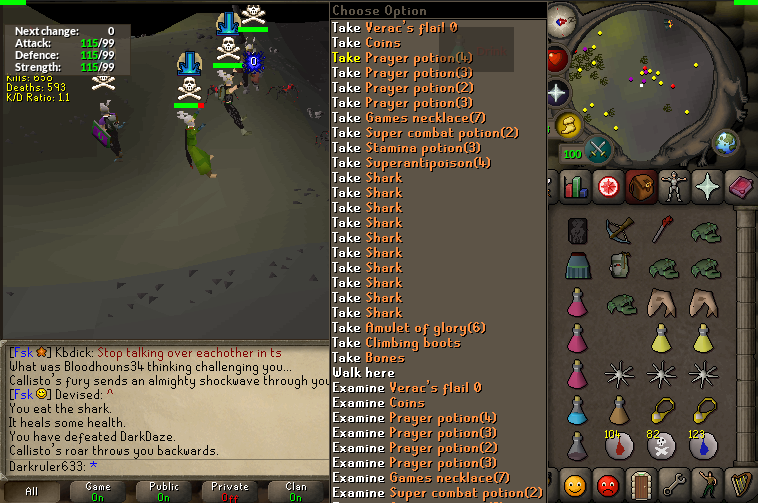 Then we ran into Infinity Pvm who we're having a callisto event, idiotically they fell for our bait, skulling up and getting cleared for multiple Veracs sets, a berserker ring, a Zamorak Godsword and an Armadyl Godsword. 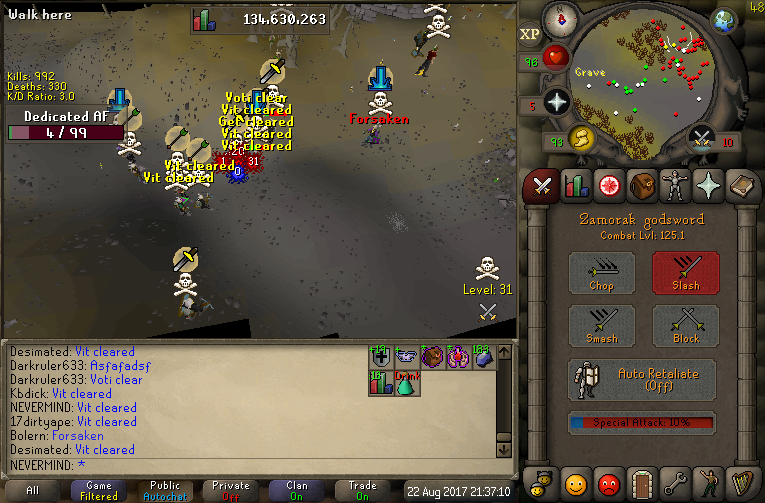 After clearing infinity for bank we ran into Vitality. 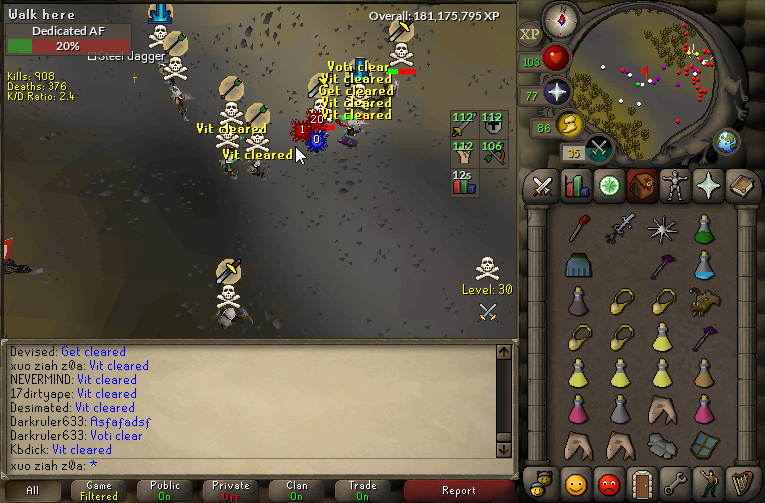 Starting south of bear pocket and eventually moving south, it was honestly an even fight with both sides sliding back and forth. 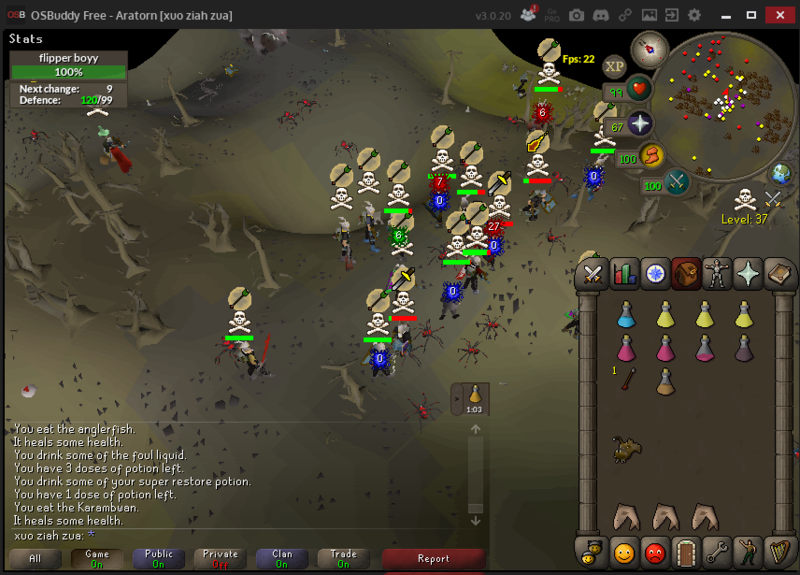 After an hour Vitality's numbers started to drop and Forsaken's was still gaining, we managed to start KOing vitality left and right and eventually they were cleared off the map after 75 minutes.